Each year, from August to November, many humpback whales come like the waters of Nosy-Be, in Madagascar. Climate and navigation conditions, particularly good in this period, promote yet more observation of these mammals. The show is often fantastic : whether it's mother/calf or groups of adults, humpback whales often gratify us their legendary acrobatics. 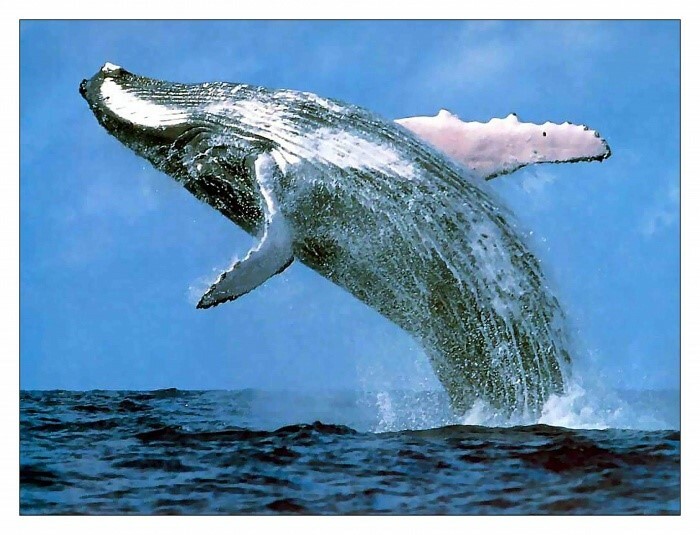 Equipped with hydrophone (underwater micro), guests may attend the singing of the males ! A show unique in Nosy-Be ! 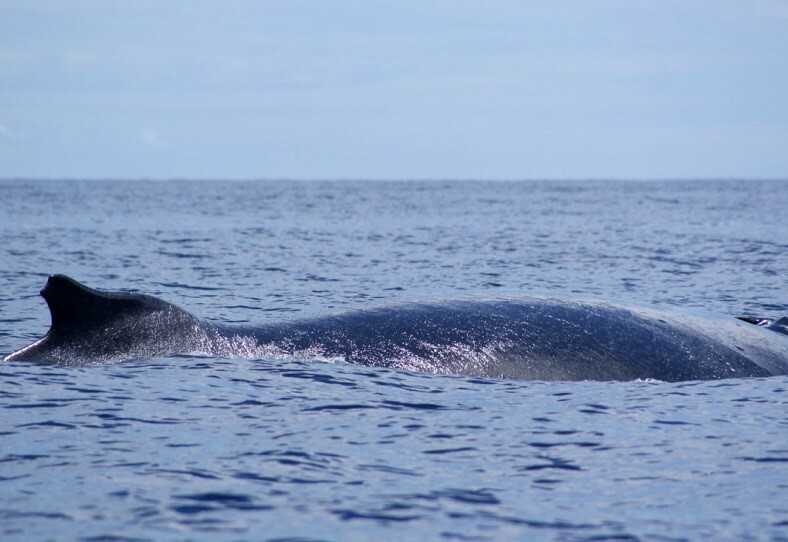 Starting at 7:45 for embark aboard a speedboat for the broad search of humpback whales and other cetaceans plying the waters of Nosy Be and in particular dolphins. Amazing show and emotion guaranteed and return to the hotel for lunch around 1300. Between October and December, the largest fish in the world comes to visit us in Madagascar in the waters of Nosy-Be. This mythical shark, totally placid and harmless will make you live an underwater encounter breathtaking. 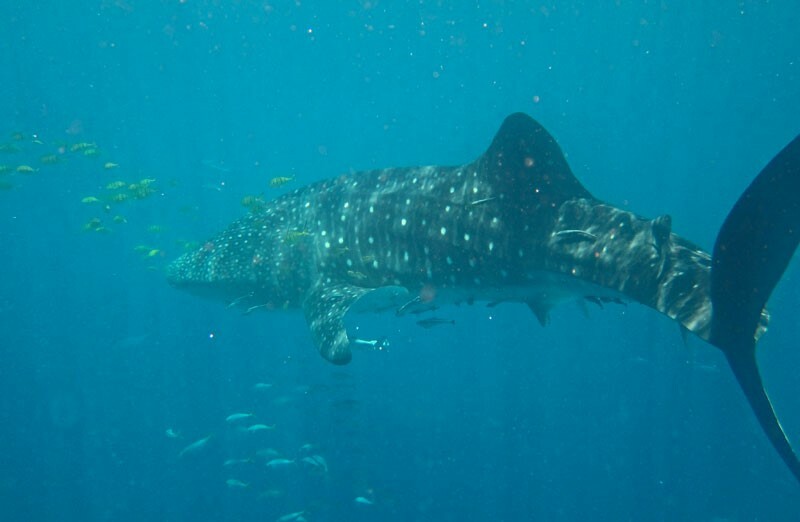 Equipped with fins/mask/snorkel, come dive in the company of the whale shark or observe the animal of the boat and enjoy an experience out of the ordinary ! Starting at 7:45 after the briefing, research and observation with diving with whale sharks. If it is not possible, According to the Malagasy laws we put in the water with the whales, on the other hand, it is quite possible to swim in the middle of whale sharks... a moment that will be forever in your memories ! With a return to the Grand Bleu for lunch around 1300.